Where is the Marlboro Police Department located? The Police Department is located at 1979 Township Drive, Marlboro, New Jersey. The entrance to the Marlboro Municipal Complex is located off of Wyncrest Road between the Marlboro Recreation Building and the road split of Wyncrest Road and School Road. (Marlboro Jewish center is on the corner of the split) Drive past the little brown building and head toward the Township Offices and Justice Center on the right hand side. For further information call (732) 536-0100. What phone number do I call to reach the Police Department and Municipal offices? A complete list of Marlboro Police contacts can be found here. How do I obtain copies of police reports ? Police reports are available five (5) business days after the report has been taken. Reports are available at the Records Division, inside the Justice Center, Monday-Thursday from 8:30am-4:00pm. The Records Division is closed on all Federal and State holidays. Please call (732) 536-0100 (Ext. 1572) to be sure that your report is available prior to making your trip. There is a cost for all reports according to the type of report and its length. Ask the Records Division clerks when you call. How can I leave a Tip for the Police? Go to the Home Page and click on "Anonymous Tip/E-mail Line"
Call 888-536-1010 for our phone tip line. The Marlboro Police Department does not solicit over the telephone. The Police Department has two unions PBA Local #196 and FOP Lodge #15. The only solicitation done from the Police Department or PBA Local 196 is through the mail, usually once annually. Calls from all other "law enforcement" organizations are done by telemarketing firms. These solicitations, DO NOT benefit the Marlboro Police Department or PBA Local 196 in any way. These telemarketers are not Police Officers and use high pressure tactics to get you to participate. We urge you to use extreme caution should you decide to contribute to these agencies. The only organization making money from these solicitations is the telemarketing firm. If you decide to contribute to any of these organizations, always ask for the name, address and telephone number so that you may call back after careful consideration. Most of them will not give out this information. You may also ask for financial statements and/or budget information prior to making your decision. If you have any questions please direct them to the Police Department. Can I leave my vehicle parked in the street overnight if snow is predicted for the nighttime? Parking in the roadway is prohibited by township ordinance during any type of snowfall, so that the proper snow clean up crews can plow the streets and roadways. Please make sure every effort is taken to keep all vehicles off the roadways during times of inclement weather. Any civil disputes of this nature should be referred to the Zoning or Engineering Departments (732) 536-0200. The Police Department does not get involved in these types of civil matters. Is the use of headlights required when it is raining? Yes. If you are using your wipers to clear precipitation from your windshield, you must have your headlights on. How do I obtain a Domestic Violence Restraining Order? During business hours (Monday-Friday) 8:30-3:30pm (Holidays excluded) should be applied for at the Family Divison of the Monmouth County Courthouse. 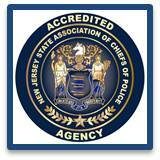 Under emergent circumstances, after hours, contact the police department at 732-536-0100 for assistance. What should I do if I see a crime occuring? I think I have a warrant for my arrest. How do I find out? You may contact the Marlboro Township Municipal Court-Violations Bureau at (732) 536-0300 (Monday-Thursday from 9:00am-4:30pm) . You will be asked a series of questions and a Court Officer will search the records for you. Do I need to register my home/business alarm? Yes, all alarm systems must be registered with the Marlboro Township Police Department. Alarm registration forms can be located under the "Download Forms" tab on the Home page or by clicking (click here). See alarm Ordinance No. 2009-33 (click here). Where can I find auctions for Marlboro Police/Marlboro Township used equipment and vehicles? Auctions including vehicles and computers can be located on GovDeals.com.